Kirsten represents business clients and professionals in complex regulatory issues and disputes. 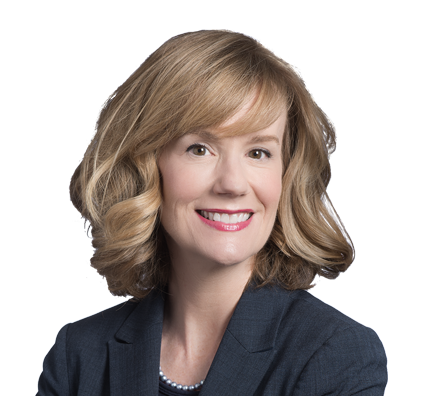 A significant focus of her practice is on insurance regulatory law and insurance disputes, including issues of compliance with state and federal insurance laws, coverage and insurer extra contractual liability. In addition, Kirsten has extensive experience prosecuting and defending business disputes, consumer disputes and malpractice claims. Favorable trial verdicts for business clients on contract, malpractice and tort claims. Winning legal arguments on complex and novel insurance law issues. In the civic arena, Kirsten has served on the boards of directors for the Kansas City Ballet and KCPT Public Television since 2010. Counsel business clients on all aspects of insurance law, including regulatory compliance, coverage, claims handling standards and insurance disputes. Experience with a wide range of insurance products, including CGL, commercial property and business income, first and third-party cyber insurance, directors & officers liability insurance, crisis management, professional malpractice, life insurance (coverage, recission, reinstatement, lapse and fraud), regulatory/investigation coverage, and transactional insurance (e.g., reps & warranties). Substantial representation of business clients through trial and appeal on a wide range of disputes, including contract and tort claims. Secured a defense verdict on malpractice claims against professional corporation and employee. Secured multi-million dollar resolution for business client on complex insurance claim involving issues of first impression. Obtained favorable settlement for primary insurer against excess insurer after filing motion for summary judgment. Secured dismissals of declaratory judgment suits on behalf of business client on insurance claims. Defended insurer through appeal on agent’s claim of authority to bind insurer to coverage. Counseled banking clients on recovery against fidelity bonds, insurance coverage for bank directors, officers and employees and recovery under private mortgage insurance. Several favorable settlements relating to insurance coverage gaps. Obtained favorable settlements on property insurance claims.